Unite, is backing a week of action across the capital designed to stop the further destruction of London's council housing stock. With housing now the third most important issue for voters in London, yet housing insecurity growing, Unite will help roll out events across the city, beginning this Saturday, with the aim of blocking Boris Johnson’s budget. City Hall will vote on the London mayor’s budget on Monday 23 February, but Unite believes 'Boris' budget' will mean further rent-hikes and more sell-offs of council housing and vast tracts of public land. On Boris Johnson's watch the story is one of 'affordable homes’ that few can afford, a growing number of evictions and the destruction of communities – all overseen by a major determined to accelerate London’s housing crisis. Steve Turner, Unite assistant general secretary with responsibility for community, said: “The situation for ordinary Londoners is getting desperate. Politicians need to wake up to the crisis that they are creating truly affordable homes for London's workers are being destroyed by a mayor that goes globe-trotting to flog our capital to the highest overseas bidder. “Social housing and swathes of public land are being sold off to private developers who have not one iota of interest in providing affordable and sustainable homes for people. “The £1.8bn at the mayor’s disposal for affordable housing over his term in office means there is plenty in the housing pot to ensure that London is making homes for people not for profit. “Boris Johnson has billions available for housing but is acting and speaking only on behalf of rich developers. 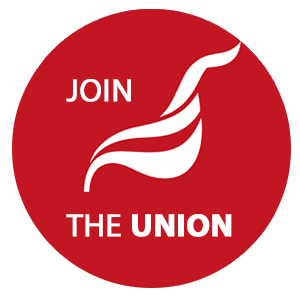 Unite has been actively fighting to defend affordable and council homes in London including opposing the social cleansing of the West Hendon estate in Barnet; raising the plight of residents facing eviction from the New Era estate in Hoxton and backing the E15 campaigners in Newham. Unite led the demonstration at Mipim last year, when the world's largest private money fair came to London to feast on UK council housing. Numerous events are taking place during the week of action culminating in a Block the Budget protest from 09:00 on Monday 23 February, at City Hall (The Queen’s Walk, London, SE1 2AA). Saturday 14 February – Lambeth Housing Activists are holding ‘love council housing’ stalls around Lambeth, including outside Brixton tube station at 11:00. Similar events are also being held in Lewisham and Tower Hamlets, while West Hendon is hosting a ‘love your estate’ celebration of community spirit. Sunday 15 February – Aylesbury estate occupation and Brick Lane Debates are hosting a community debate. Wednesday 18 February – Unite Community Waltham Forest is holding a ‘show me the way to go home’ demonstration in protest at the scandalous treatment of thousands of residents forced out of the borough, having been made homeless. Our branch will be playing an active role in campaigning on the housing crisis. We have actively supported camapigns such as the E158 mums and the New Era camapign and now support the Aylesbury campaign. See here for some previous items on this website and here for a report on housing association privatisation.